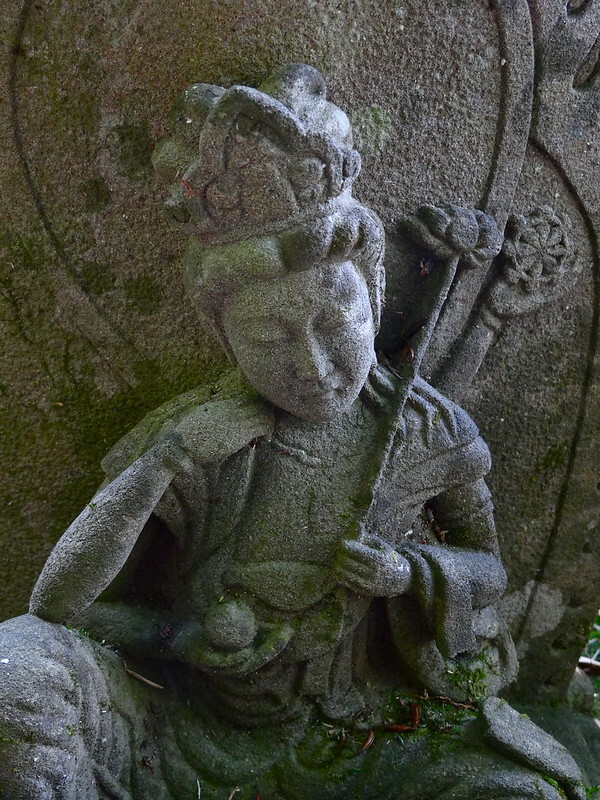 is for kannon, or the Japanese name for Quan-yin. 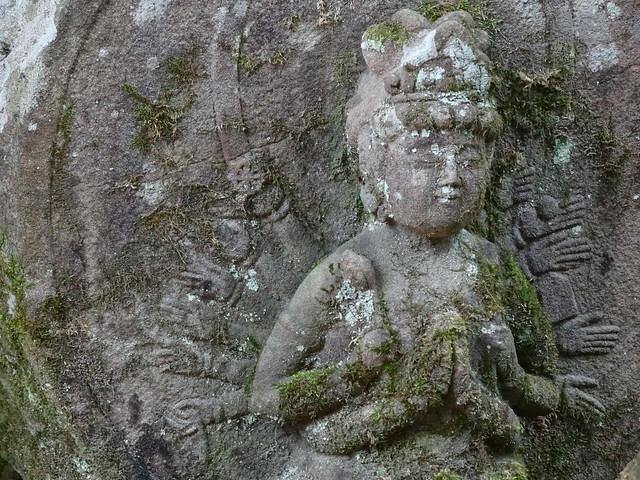 She is a familiar sight all across Japan, gracing most temples, and in some areas, has statues large enough to be their own landmark. 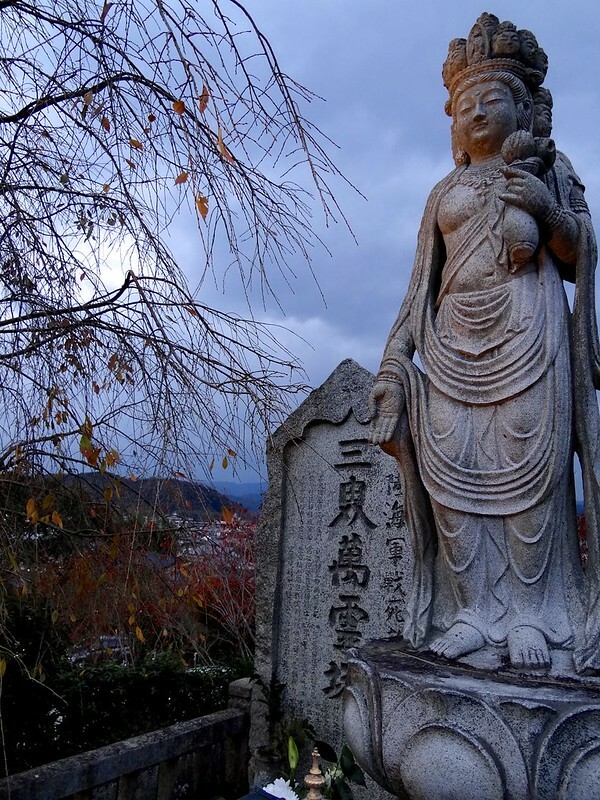 Kyoto actually has a statue of Quan-yin so large that, even though I’ve never seen it up close, I can always spot it from the panoramic views situated across the city. 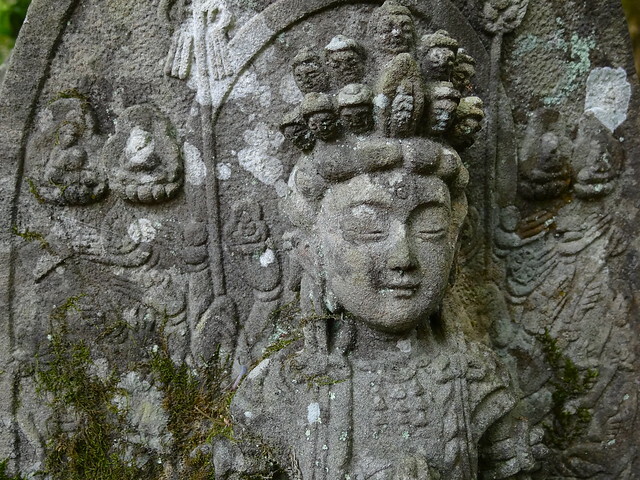 Quan-yin is known as the Goddess of Compassion, and much like Buddha, is there to help others find their way on the path. I have known of her since my childhood days, when my father collected oriental statues. 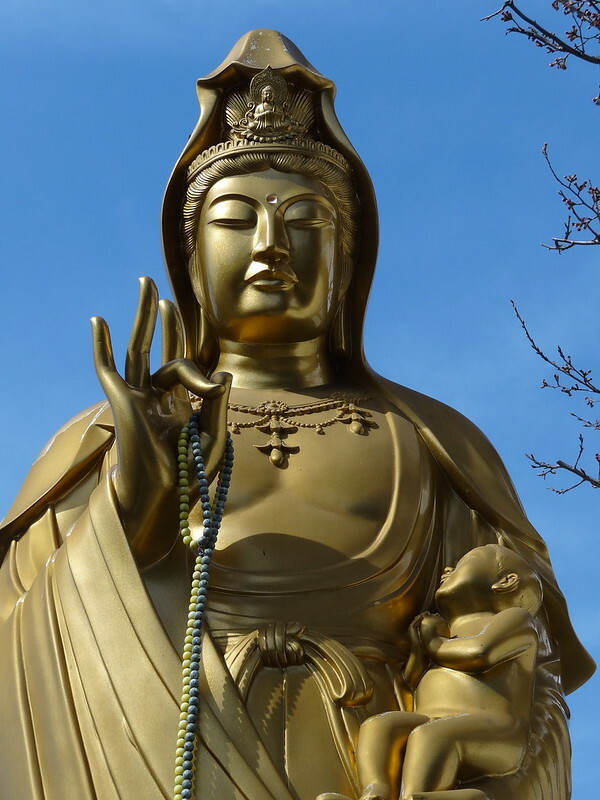 The bronze statue of Quan-yin remained one of my favorites, and when he was downsizing his collection, it was gifted to me. She now sits on my bookshelf. Seeing her across the country in life-size is a treat I will miss a great deal. I’ve had a small statue similar to this in my yard for over thirty years. Have no idea who the artist meant it to be. Thanks for the ID – she is so beautiful and serene! Compassion – that’s lovely. Noelle above used the word I was thinking – serene – so I’ll add gentle to the mix. We all need the reminder on occasion to be more compassionate to those around us. The statue in the first photo is incredible. Is it bronze? By the way,have you heard of a blogging initiative known as 1000 Voices For Compassion? They write about various angles of the topic of compassion, and their next scheduled “group posting” date is today. Love it–her face is so serene. Beautiful photos as usual. I didn’t know anything about this goddess. compassion is an excellent virtue and more people could use it. I feel very ignorant, I had never heard of her. Thank you for introducing me and posting such lovely photos. Thank you. I saw here quite a bit during my short stay in Japan, I know now who she is.